Summer is here and with it come all sorts of outdoor, fun activities to do. 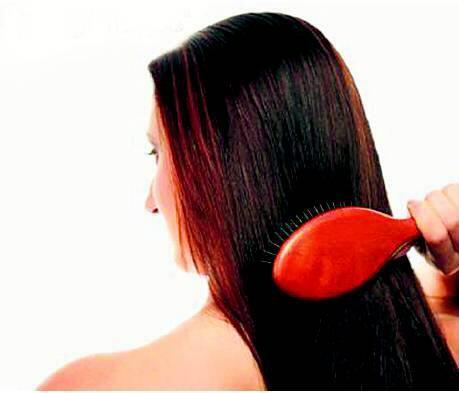 It is also that time of the year when girls gear up to face hair problems thanks to the heat and humidity - some of which result in hair damage beyond repair. It's not just your skin that sweats, but also your scalp. With hair sticking together in clumps, heat also dries your hair to make it look like hay. However, don't panic as hair-care experts have identified all these problems and are ready with hair-care tips to beat the heat and help your hair bathe in the sun and still keep oozing health and fitness. Summers are meant for vacationing and rejoicing in the sun. But sunlight can be as damaging as a hot blow dryer. Summer sun and humidity can damage your hair cuticles and result in dry, drab, split, brittle or frizzy hair and ends. Therefore, it becomes important to wear a hat when out in the hot sun as hair can get sunburnt and so can the scalp. The only way to deal with severely burnt hair is by trimming the damaged sections off. But of course, prevention is the safest plan for sure. Use shampoos and conditioners which are gentle and have UV protection to prevent your hair from the harmful rays of the sun. It is but natural that when the body sweats due to heat so will the sweat tissues in the scalp. Shampoo your hair on a regular basis - at least 3-4 times a week, but make sure you wash it with lukewarm water because hot water will strip the moisture and proteins leaving your hair dry and fragile. Hair needs to be treated more gently during the summers. Consider switching to an overall gentle shampoo that will cleanse your hair. Don't forget to condition your hair each time you shampoo. Shampoos take away the natural moisture from the hair in the bargain; therefore, conditioner is a must as it coats your hair strands, and nourishes, softens and smoothens it. It also helps reduce hair breakage. There are conditioners available in the market which reduce hairfall, and make your hair thick and long, and repair damage. There cannot be anything better than using natural ingredients like henna and egg, but these are time-consuming and messy. There are a few shampoos and conditioners available in the market that contain natural ingredients and are safe. Curd and egg, no doubt, have been known to be natural conditioners. If your hair is fine or thin, you may wish to skip the rinse out conditioning step and apply a leave-on instead. Just as conditioners nourish your hair, leave-on detangles your hair, making it manageable. There are leave-ons available in the market, which add shine and repair damage. So, whenever you need to style, leave-ons are the best. Apply leave-on before you go out in the sun as it helps give style and also protects your hair from the sun. It also helps reduce frizz in your hair. If you normally use hot hair tools (blow dryers, hot irons, electric curlers) every day, try and give your hair a break during the summer months. Consider air drying your hair. Accessorise with clips and you are ready to go. Fringes/bands make you touch your hair often that will result in dandruff and oily skin.